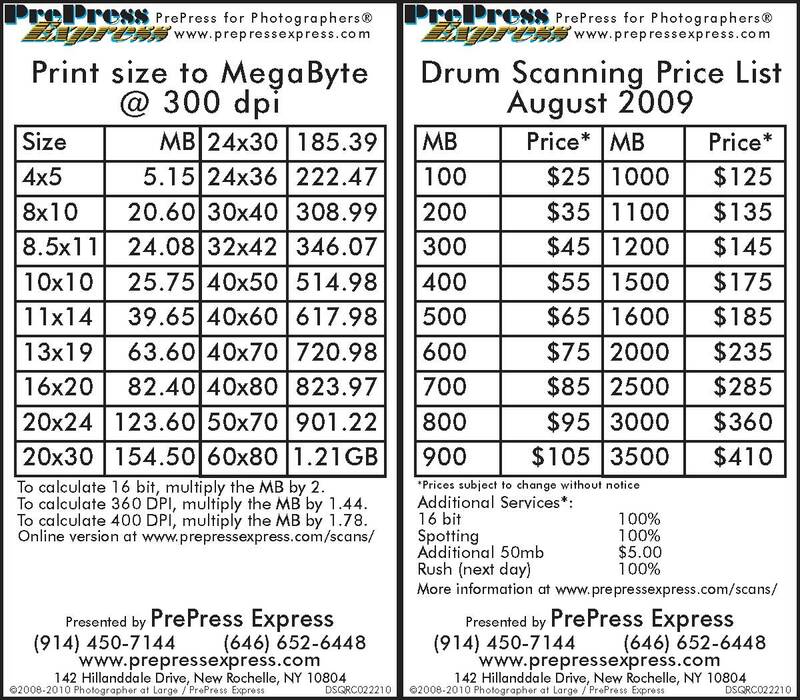 On the left card, we have standard scan sizes and there equivalent size in megabytes. 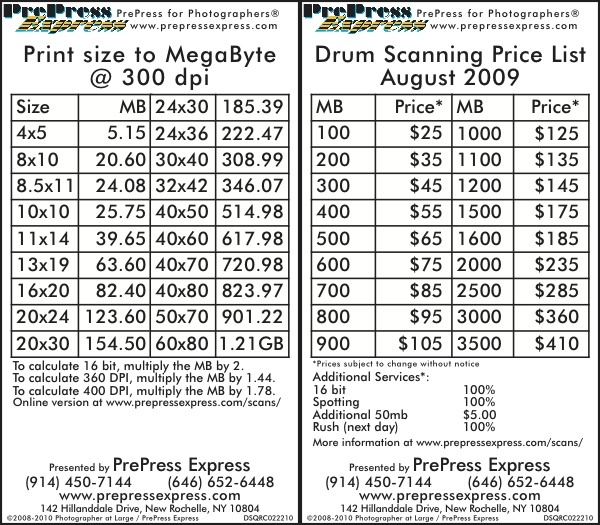 The right card contains our retail price list. Right click on the links below to download them to your disk.